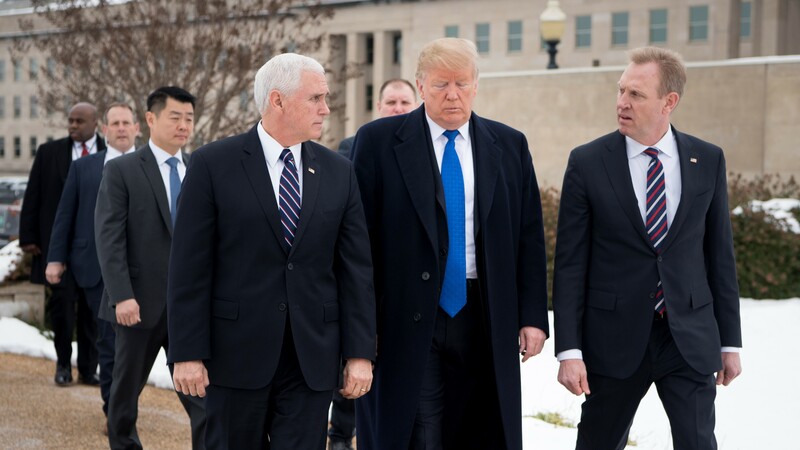 Acting Defense Secretary Patrick Shanahan heads to NATO this week to reassure allies that the U.S. path on key security issues remains steady, amid major policy shifts in Syria, Afghanistan and its recent withdrawal from the Intermediate-range Nuclear Forces treaty. It will mark Shanahan’s first opportunity to meet with his 28 fellow NATO defense ministers since the abrupt resignation of former Defense Secretary Jim Mattis, who left in late December in protest of President Donald Trump’s decision to withdraw all U.S. forces from Syria, amid other disagreements. It also comes a little over a week after Trump formally announced that the U.S. would withdraw from the INF treaty, a move NATO allies supported, in response to Russia’s non-compliance. Shanahan will also be explaining the U.S. decision to withdraw all forces from Syria, and further coordinate efforts with key military contributors to Operation Inherent Resolve to ensure “we have a continuing robust effort against [Islamic State] remnants” in Syria, the official said. U.S. priorities raised by President Trump, such as continuing to push all NATO members for increased security cost sharing, will be a featured topic at one of the ministerial dinners, the official said. However, the U.S. will also emphasize the importance of fully implementing goals from the 2018 NATO summit, such as continuing to improve NATO members’ military mobility throughout Europe and streamlining NATO’s command structure, the official said. After NATO, Shanahan will travel to Germany to take part in the Munich Security Conference. But the overall theme, the official said, would be one of continuity.